Let Dogwood Arts begin: A Very Special Arts Festival | Oh, the Places We See . 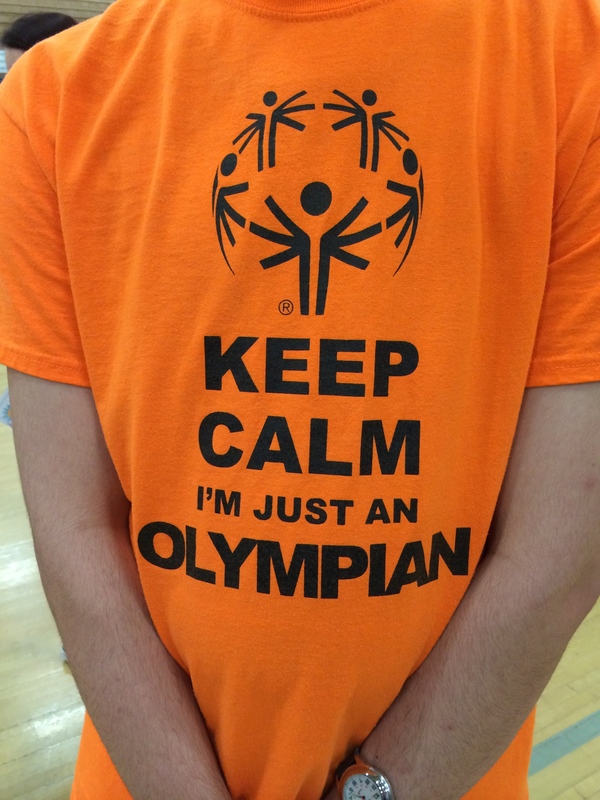 . .
Students from Powell High School were easily identified with these bright orange t-shirts at the Very Special Arts Festival 2015. Promptly on April 1st, 2015, the Knoxville’s Dogwood Arts Festival began — and it started with school kids having fun. A Very Special Arts Festival celebrating Knox County students with diverse abilities kicked off the annual festival with a day of art, fun, and friendly competition. 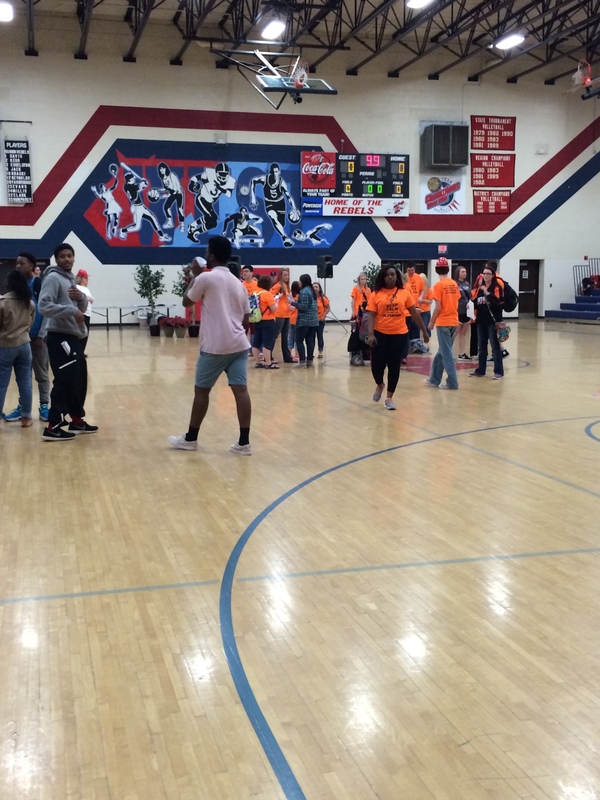 Volunteers had their hands full — passing out goodies and snacks, monitoring events, and helping with events — like “make and take” workshops, art demonstrations, and dancing to the DJ’s music in the West High School gym. 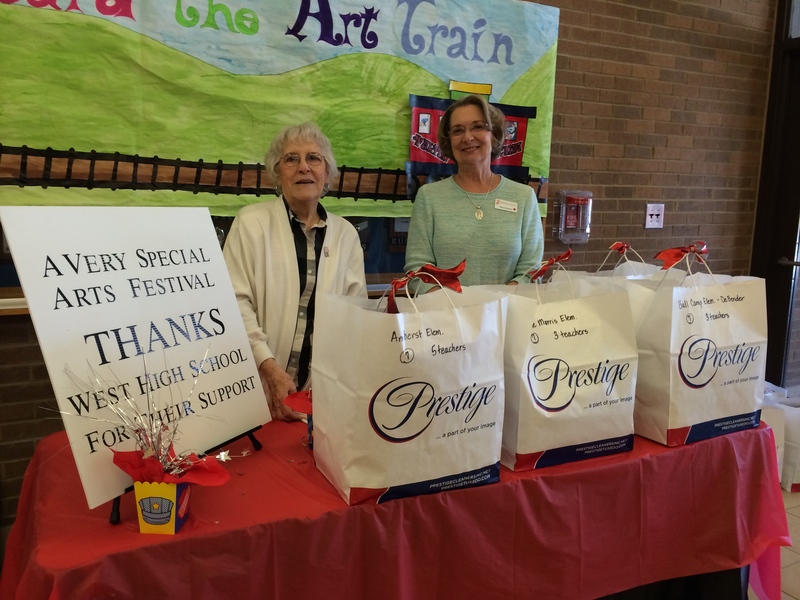 Mary Riddle and Myra Haynes passed out sacks designated for each school at the Very Special Arts Festival. Inside, this camera-lovin’ shark from Ripley’s Aquarium at the Smokies posed near the gym door for pictures with the kids. Outside, local firefighters from the Knoxville Fire Department passed out red hats to any and all who wanted them. 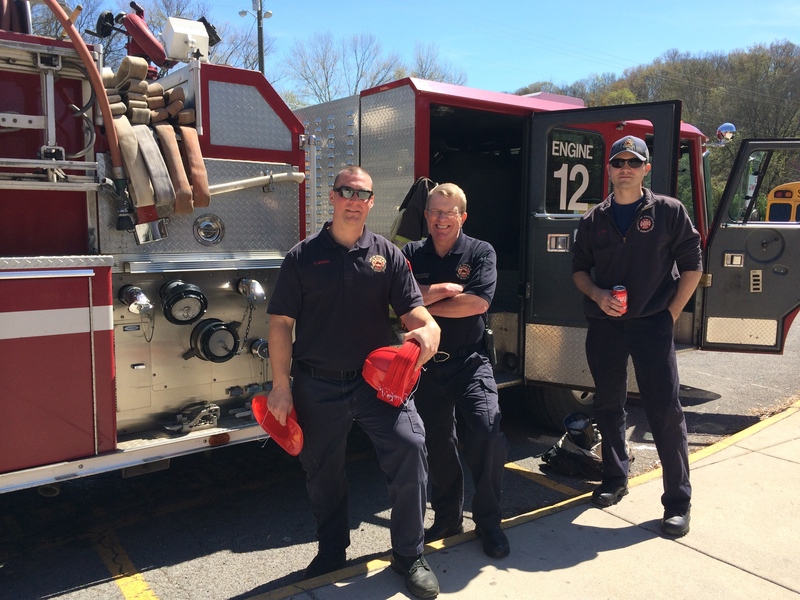 Firefighters Chris Justice, Mike Pickett, and Adam Noe passed out lots of red firemen’s hats. And you could spot the crew from Powell High School all over campus wearing these bright orange tees. Dancin to the DJ’s music in the West High gym. Can you spot those Powell High students? It was a memorable kick-off to the 2015 Dogwood Arts Festival, thanks to the sponsors — AKIMA Women’s Club, West High School, the Pilot Club, and West Knoxville Civitan — and the aides, teachers, and volunteers who made it all possible. Great kick-off to the festival, thanks to volunteers and sponsors! 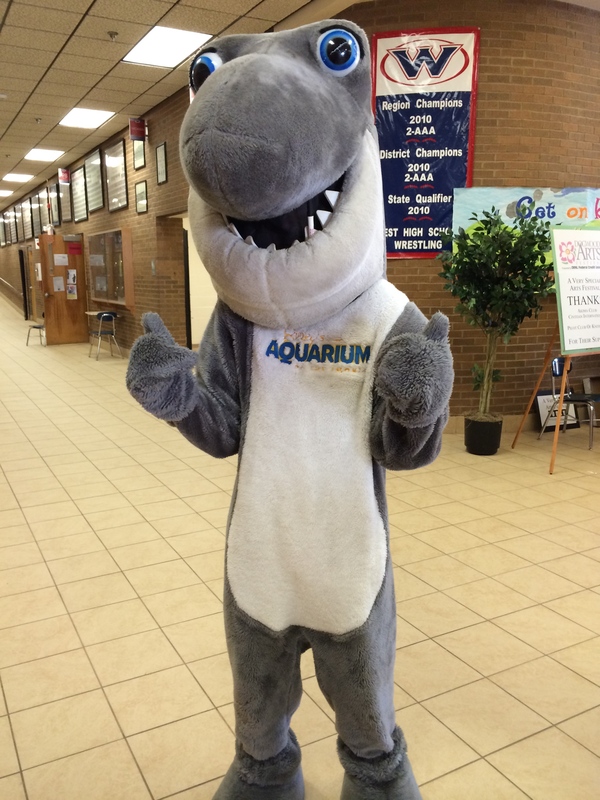 This entry was posted in Travel and tagged A Very Special Arts Festival, AKIMA, Knoxville Fire Department, Pilot Club, Ripley's Aquarium of the Smokies, West High School, West Knoxville Civitan Club. Bookmark the permalink. You’re right, Judy. Knoxville’s biggest (and perhaps longest) festival is Dogwood Arts. There are so many activities that you couldn’t see or do them all even if you tried. We still love trying, by the way!